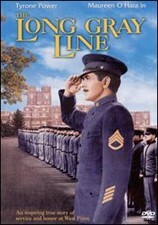 John Ford helmed this moving true-life story that plays like a West Point-flavored "Goodbye, Mr. Chips." Tyrone Power stars as Marty Maher, an Irish immigrant who comes to the Point as a kitchen worker and becomes an athletic director and father figure to 50 years of cadets. Maureen O'Hara plays Power's wife; with Ward Bond, Donald Crisp, Robert Francis. 137 min. Standard and Widescreen (Enhanced); Soundtrack: English Dolby Digital Surround; Subtitles: English, Chinese, French, Korean, Portuguese, Spanish, Thai; theatrical trailer. Robert Francis ... James N. Sundstrom Jr.